Pst. I need to get this off my chest. don’t like cantaloupe. Or, as my grandma calls it, muskmelon. With a name like muskmelon, it’s got to be, like, for old people? I’m sorry Grandma, I’m sorry Grandpa, I’m sorry to anyone who loves this melon and has ever served it to me and I pretended to like it. But the secret is out. I’d just plain rather have a banana. So why oh why oh why did I buy a jumbo muskmelon? The answer is because it was $1.99, and how can you expect me to pass up something that’s bigger than my head for just $1.99? And the real answer is because I needed to fall in love with this ginger melon chiller and, yes, muskmelon. Because now I like muskmelon. When it’s blended up with ginger, honey, and citrus… it’s a whole new fruit! But I am going to stop calling it muskmelon now. Here’s to cheap cantaloupes and fun summer drinks. Cheers! Ginger Melon Chillers are made with fresh ginger and cantaloupe, orange juice, honey, and lime. Super simple and refreshing. Blend cantaloupe with 6 oz. of the soda and the orange juice. Add remaining soda, give it one last whir in the blender, and serve immediately. Frozen cantaloupe makes for a much smoother drink. 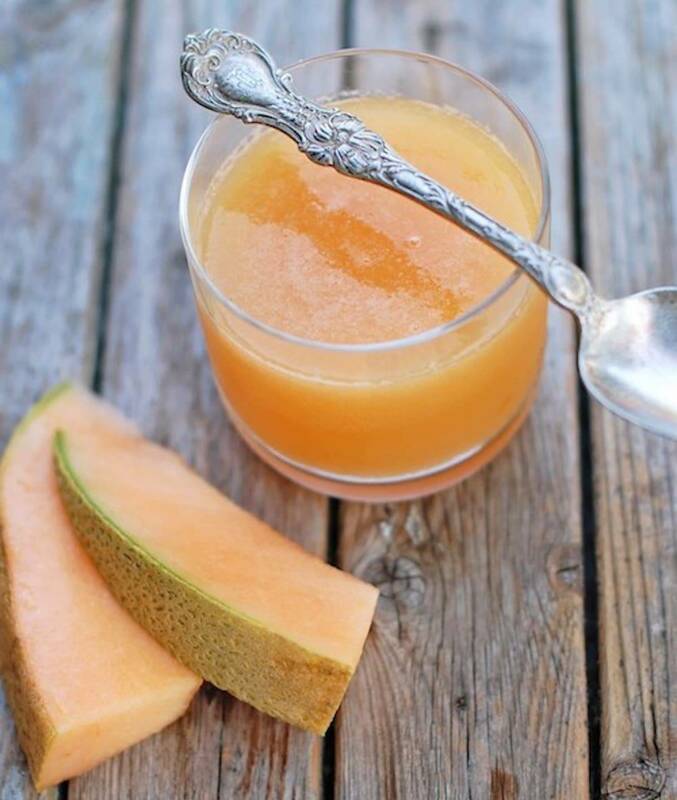 If you don’t use frozen cantaloupe, the drink might have some pulp from the melon. To get rid of the pulp, just strain the drink through a sieve. Also, you can substitute the soda and ginger for ginger ale. What’s your favorite way to eat cantaloupe? And don’t say you don’t like it unless you’ve tried this drink! We loved it! It was sweltering today, so I whipped this up based on my friend’s recommendation. Wow, what a cooling, refreshing, revitalizing treat. I made it with plain sparkling water (Gerolsteiner) and a bit less honey, and the sweetness was perfect for us. Thank you, Lindsay! So this has become my go-to summer drink. It is delicious and SO refreshing! I just use sparkling water instead of sprite and a tad less honey. Wow – the fresh ginger plus the melon is a winning combination! 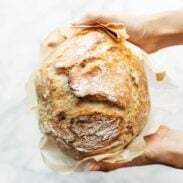 Thanks for yet another fabulous recipe! Hi there — we’re having a neighborhood cocktail crawl. I’m thinking I want to spike this with vodka. Would you swap out 1/4 of the soda? and do you think it could be made ahead and kept in the freezer? I’ll have Lindsay get back to you!